In 2010, bartender/sommelier Lauren Mote and Chef Jonathan Chovancek founded Kale & Nori, a boutique restaurant-style catering and events company that focuses on seasonal, ethical menus paired with innovative drink. Together, they have spent the better part of two years developing their popular line of quality products, Bittered Sling Extracts. 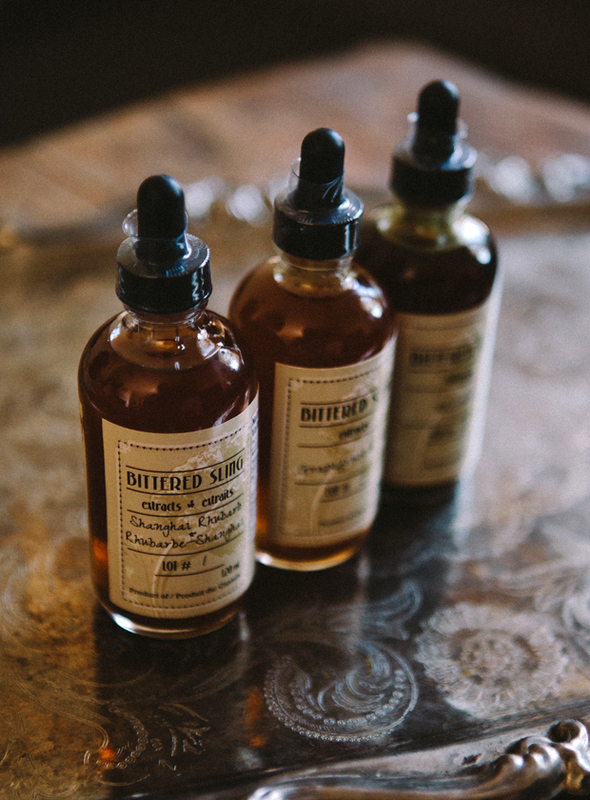 Bittered Sling is a series of high-end and luxurious extracts and bitters that have various applications for seasoning beverages and food. The co-founders' history behind the bar and in the kitchen, respectively, are the driving force behind their dedication to advance consumable crafts through Kale & Nori's extracts, and Bittered Sling Bistro, a bi-weekly food and cocktail pairing competition they organize. Now available in-store.